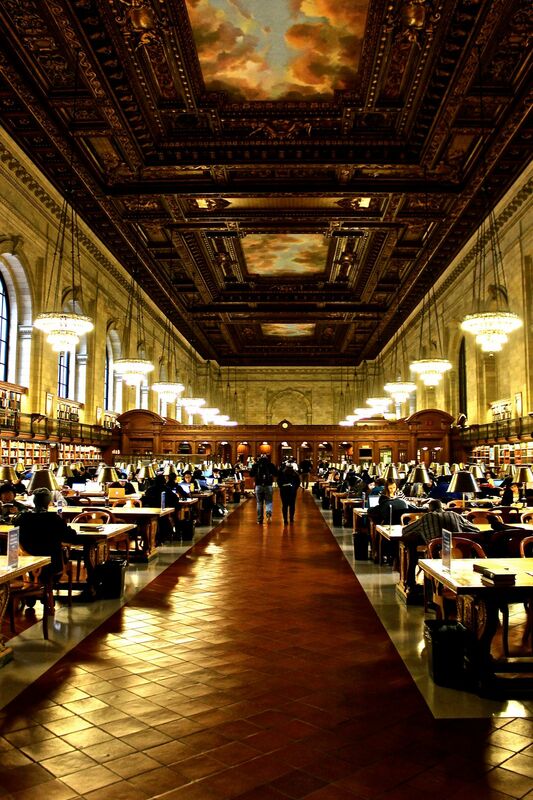 I was visiting Carnegie Hall and had never walked through the NYC library. I walked in and a security guard greeted me within the main area and he enquired if I was a photo journalist. I said no, just enjoying the architecture and he pointed and said to walk down to the other side and turn around. I did and what an experience. Date Uploaded: May 5, 2015, 5:57 p.m.